9.0" x 10.0" stitched on 14 count. 7.0" x 7.8" stitched on 18 count. 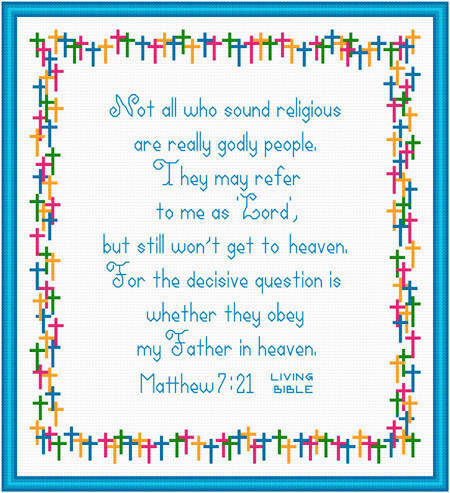 Not All Godly People Are cross stitch pattern... Scripture based design expresses that outward appearances can be deceiving, and actions determine how things really are. Surrounded by crosses.